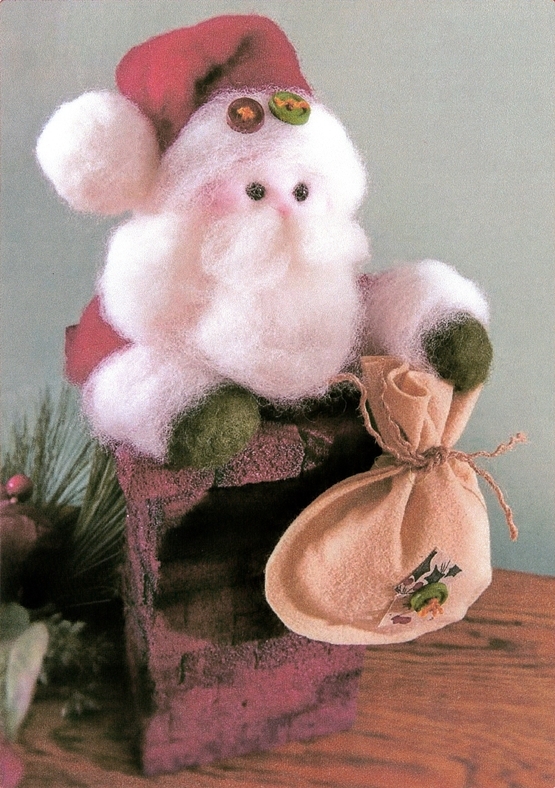 In the latest issue of Crafts 'n Things I designed a cute Santa for Dow using my favorite technique of needle felting wool to STYROFOAM Brand Foam. He is coming up from the chimney made of Make it Fun TM Project Bricks. They are really fun to work with to make realistic walls. The small rectangular bricks cut easily and can be painted. The bricks are stacked alternating the joints just as in a real wall although these 'bricks' are much easier to cut! Full instructions to mkae this cute Santa are in the issue. Happy creating!